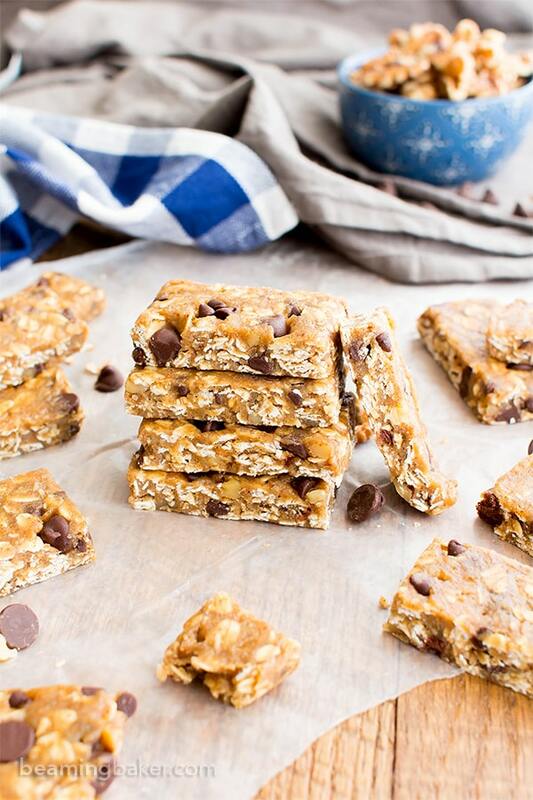 No Bake Almond Butter Chocolate Chip Cookie Dough Granola Bars (V, GF, DF): an easy one bowl recipe for soft and chewy no bake granola bars that taste like cookie dough. Vegan, Gluten Free, Dairy-Free. Either way, I always feel like January is the perfect time to bring on all the quick and easy snacks. 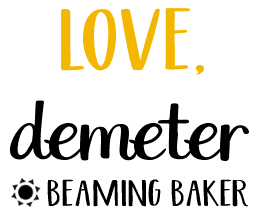 We’ve just barely recovered from baking up a huge storm, wrapping all the things we could get our hands on, and crock-potting, casseroling and otherwise breaking our backs in the kitchen for a bit of awesome holiday indulgence. And we made it. To a fresh new year, a fresh new month. Time to give our crockpots, our casserole dishes and our stretchy buffet pants a break. Time to whip up something we can enjoy on our way to a new spinning group, yoga class or the local walking club (is that a thing–that should so be a thing!!). 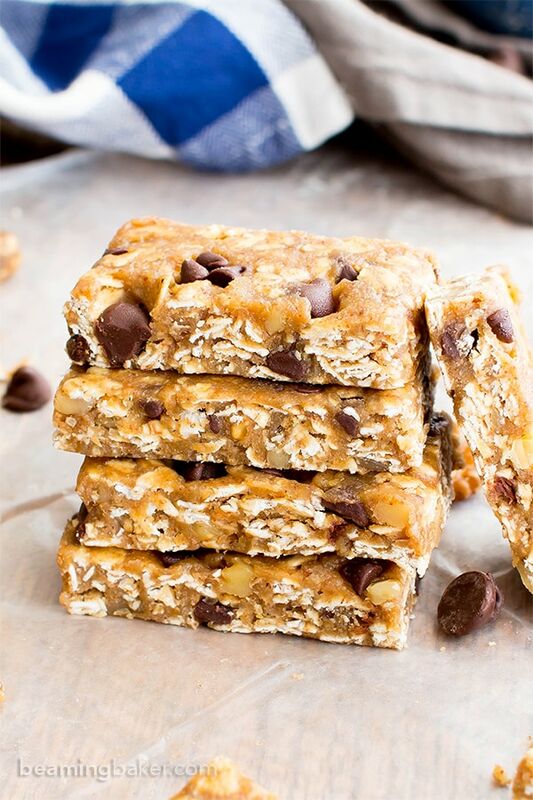 These no bake almond butter chocolate chip cookie dough granola bars are so wonderfully easy to make, easy to take with you on the go, and even easier to eat. Imagine that. 😉 If you’re a no bake granola bars fan, you may have already enjoyed my no bake oatmeal raisin granola bars or the more popular (because: chocolate, of course) no bake chewy chocolate chip granola bars. Every other month, Erik whips up a batch of one of these bars and the other, uh… other, months, he whips up either these, these or these. But my philosophy on no bake is: MORE! Can you really have too many no bake recipes? Please say no! Or… no bake?? I know, I’m confused with all the no’s, too. Even the two of us, who are regularly enjoying no bake recipe trials, are constantly whipping up more no bake goodies. They’re just so convenient, ya know? I hope you just love these no bake almond butter chocolate chip cookie dough granola bars as much as we both do. They came about when I was thinking up the kinds of treats y’all would like to see for the new year. 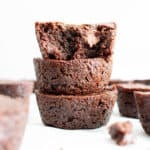 I’ve gotten a lot of positive feedback on my strictly gym-centered no bake bites from one group and plenty of positive feedback on my more loosely-interpreted–oh, okaaaaaay–desserts-oriented no bake dessert bites. This time, I thought, why not combine the two? 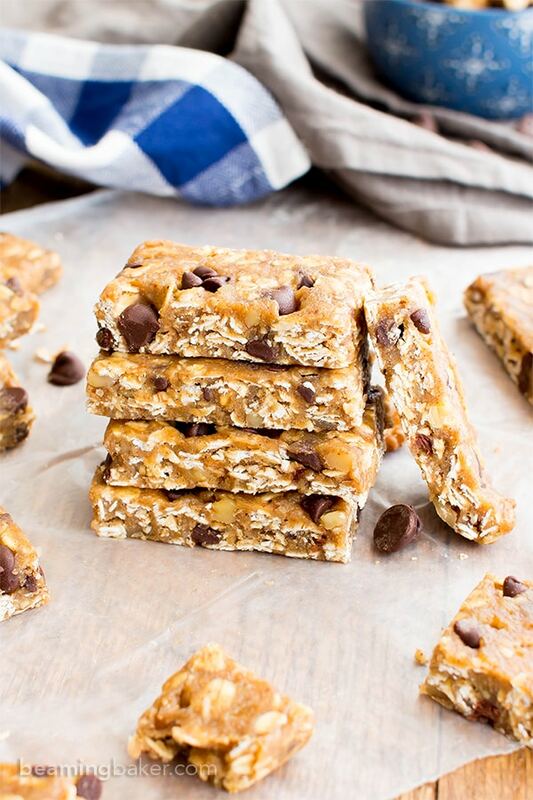 Namely, let’s combine no bake gym treat awesomeness with no bake COOKIE DOUGH yum! Are you pleased? Oh come on, I can see that grin from a mile away! Oh, wait, you were grinning at your cat or that really smokin’… sandwich that’s on your plate for lunch. Darn it. P.S. Why is your sandwich smokin’?? Tell me more! 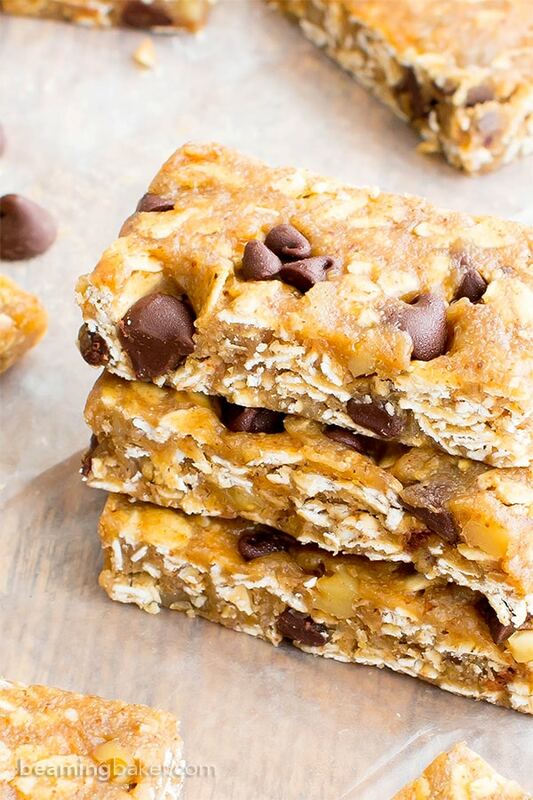 Moving on… I’m sure you’ll just love these no bake bars. Best of all, hopefully, they’ll be exactly what you need to get your new year’s resolutions going. 🙂 Do you have a list written up, or are you more of a “it’s all up here” type of person? Erik and I aren’t big on the new year’s resolutions usually… but this year, we’re gonna give ‘em a go. The funny thing is that we usually have monthly resolutions that go through a bit of a rolling admissions-type process. If ya don’t make it in this month, you’ll get your turn next month. <– Let’s just assume I have a good handle on how this rolling admissions business works. more sleep, for the love of all that’s sweet and salty! and finally, more sleep ???? Okay, now that you’ve heard ours, we have to hear yours! Yes, we are all in middle school right now. 😉 What are your new year’s resolutions? Any fun ones you may or may not officially have on your list? 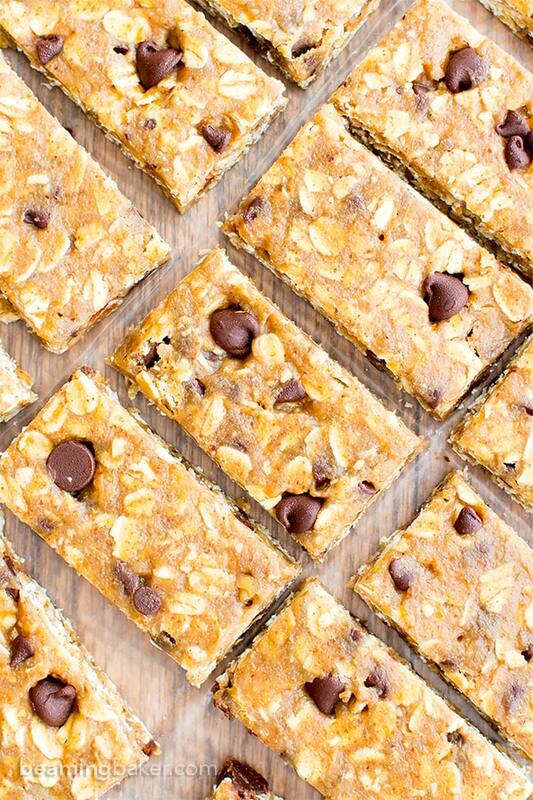 packed with delicious, energy-boosting ingredients: chocolate, oats and more! I hope you get a chance to try a wealth of new things this year: activities, friends, recipes, fun. I’m looking forward to kicking off the new year with you. Let’s make this year unbelievably awesome! Whaddya say? I can’t wait to hear what you think of this recipe. In the meantime, tell me, what’s your number one new year’s resolution? Here are a few items I used in today’s recipe! ???? 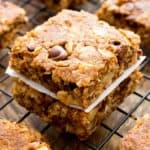 No Bake Almond Butter Chocolate Chip Cookie Dough Granola Bars (V, GF, DF): an easy one bowl recipe for soft and chewy no bake granola bars that taste like cookie dough. Vegan, Gluten Free, Dairy-Free, Whole Grain. Line an 8-inch square baking pan with wax paper, parchment paper or foil. Set aside. In a large bowl, whisk together all of the wet ingredients: almond butter, maple syrup, coconut oil, flax egg and vanilla. Whisk until smooth. Add the dry ingredients: oats, oat flour and salt. Use a rubber spatula or wooden spoon to fold the ingredients together until well combined. Fold in chocolate chips and walnuts. Pour this mixture into the prepared baking pan. Using the rubber spatula, smooth into an even layer. Optionally, press chocolate chips into the bars. Cover and freeze for 30 minutes. Remove from freezer and slice into 18 bars. Enjoy! Storing instructions below. 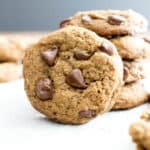 - Adapted from my chocolate chip cookie dough bites and my no bake peanut butter cookie dough bites. - Store in an airtight container in the refrigerator for 1-2 weeks. 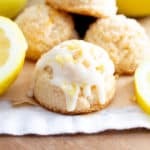 You can also freeze these for up to a month. Allow to thaw at room temperature for about 30 minutes before enjoying. 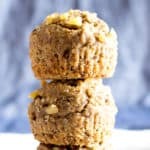 - More No Bake recipes (all V, GF, DF): cranberry coconut bites, chewy chocolate chip granola bars. 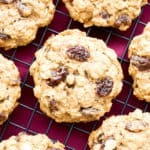 - More Healthy Snack recipes: protein-packed strawberry peanut butter smoothie, maple sesame almonds, trail mix cookies. More sleep sounds like an excellent resolution! Hope you get all kinds of opportunities to cash in on that one! Also, these granola bars look awesome. 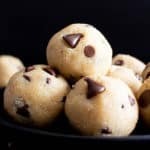 They taste like cookie dough, you say? I’m down. Lol on “cashing” in on that! I’m seriously gonna be giggling about that all day, Joyce! Cookie dough, almond butter and all the yummy things. 🙂 Happy New Year, Joyce! To eat more almond butter and less peanut butter 🙂 . So, your no-bake treats are perfect! 🙂 . Love them, so so good! And I agree on your resolutions, especially the less work more living! Pinned these jewels, of course! I like to believe I’m the biggest almond butter lover there is, so this recipe is seriously looking SO dreamy right now, Demeter! Take that liquid gold and combine it with the cookie dough flavor profile, it’s serious bar perfection. I definitely LOVE all of your resolutions! They’re all manageable but definitely things that are worth the time and effort – I second all of them! Especially the sleep. 🙂 Also LOL-ed just a little reading about you mumbling about recipes in the night, I do this regularly or toss and turn debating what I’m going to bake the next day. I just rationalize and tell myself I get some of my best ideas that way!! And judging by the way these bars (and all you others!) look, you could say the same! Happiest of new year’s to you, I can’t wait to try these bars out!! Quick and easy snacks are needed all year long, but especially in January! 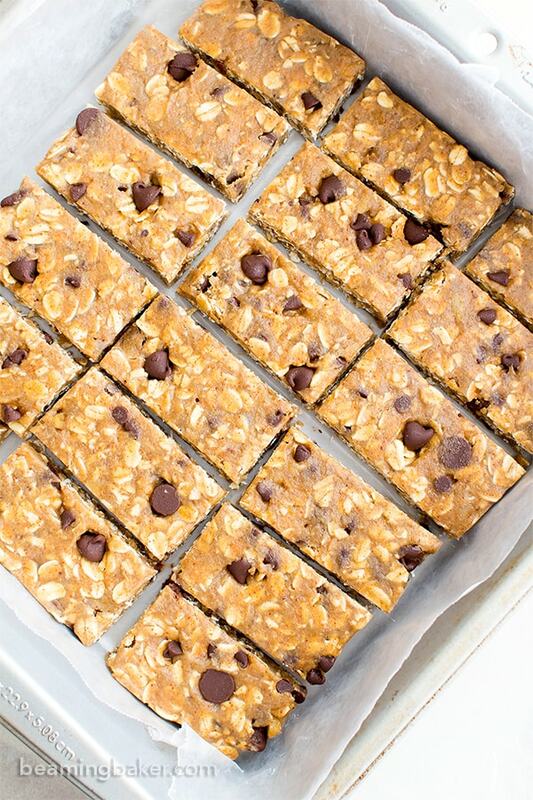 You are calling my name with these no-bake granola bars! 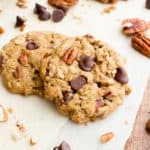 I am loving the flavors of the almond butter and cookie dough. These were pretty much made for me. I’m loving your resolutions! I make goals (because I always fail at resolutions ha) but my list looks similar to yours, especially the work less and exercise more. Cheers to a healthy and happy 2017, and lots of these bars! Pinned! Helloooooo beautiful no bake treats! I read the title and was like, wait WHAAAAT?! That sounds incredible! And they look just as fantastic as they sound 🙂 I need more of these in my life. I know they take even less time than things that need to be baked and therefore I should resolve to make more no-bake treats. And more sleep! And get my organization mojo back. I used to be so good about it and then one day I looked at my purse and our bedroom and shuddered. We basically have all of the same resolutions! Happy New Year 🙂 !!!! Do you think you would be able to substitute the almond butter with peanut butter? Hi Emely! Yes, you can absolutely substitute the almond butter with peanut butter. 🙂 Hope you love it! A winner for our March of Dimes bake sale next week. 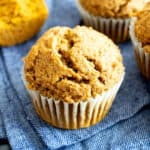 How do you think about subbing almond flour for the oat flour? 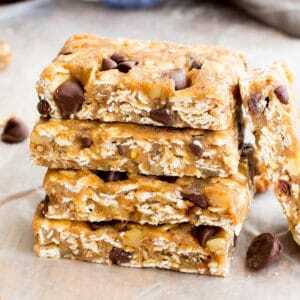 I would like to try these bars, but include Nutella and peanut butter. 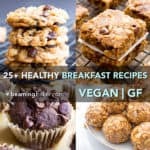 Could I substitute peanut butter for almond butter and Nutella for the maple syrup as I don’t want the bars to be too sweet if I use both Nutella and maple syrup or will the wet mixture be too thick? Also, could I use 1/4 cup rice krispie cereal and 1/4 cup chopped pretzels in place of the walnuts and chocolate chips? Lastly, could I use quick oats instead of old fashioned? Hi there! Try swapping the almond butter with nutella, then swapping 2 tablespoons of maple syrup for peanut butter (and keeping the remaining 2 tablespoons of maple syrup), and using the cereal and pretzels in place of the add-ins. I haven’t tried these swaps before, so this is my best guess! Good luck!